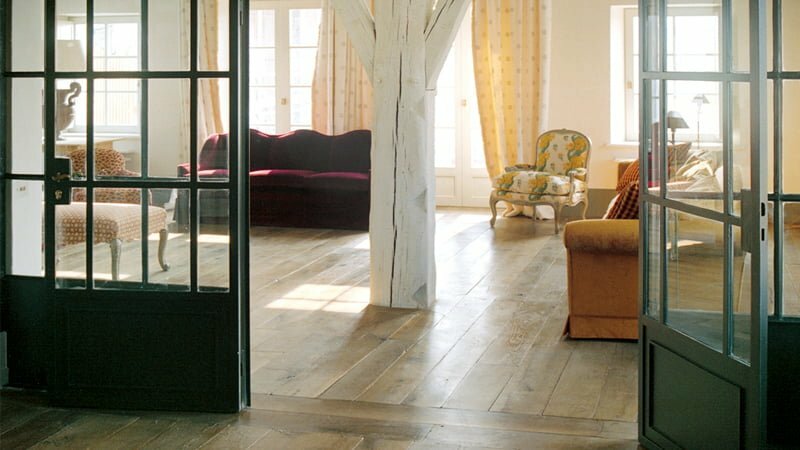 Authentic Provence’s specializes in the production of antique, vintage, and reclaimed French oak wooden flooring. The antique surface are cleaned and refreshed. The inimitable patina is maintained by using our extensive experience of aging wood with a unique technique. 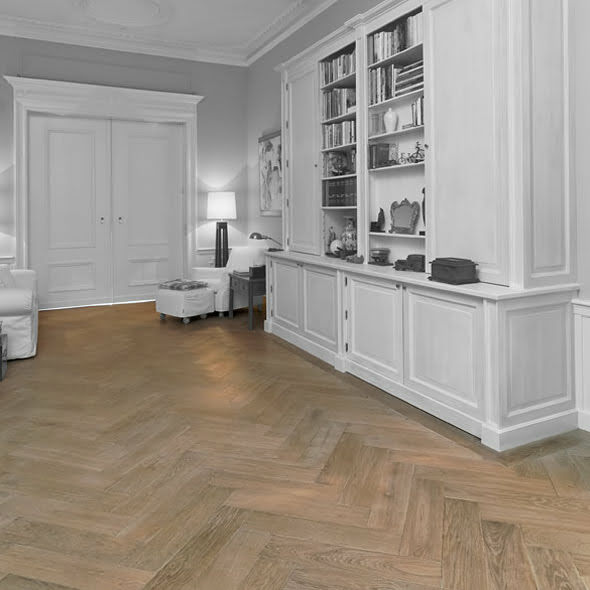 We do not use any synthetic coloring, that would change the natural appearance of the oak flooring. The know-how of the artisans obtain the most authentic, and naturally stained wood. This technique is obtained through a natural reaction with the tannins of the wood itself. This staining is wood impregnated on the surface. This process allows us to obtain a range from weathered soft grey to other colors such as cognac or chocolate. 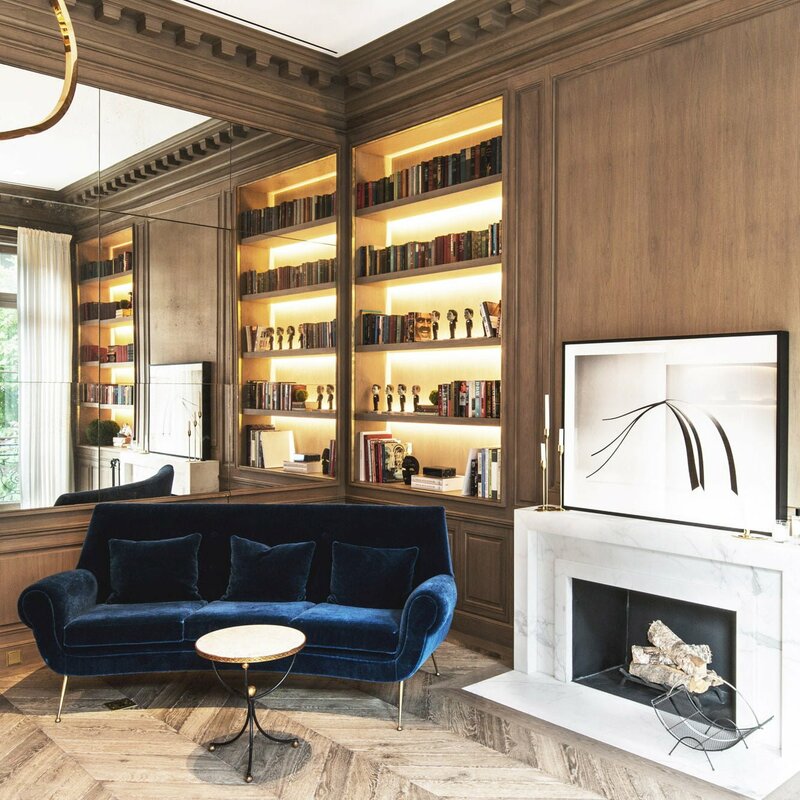 The wood boards are available in a range of different lengths and widths, as well as parquet flooring (Parquet de Versailles). If your project requires a unique custom design, please contact us for additional information.